July is a big month for Faith Herbert, Valiant’s high-flying heroine who has experienced a surge in popularity this year. 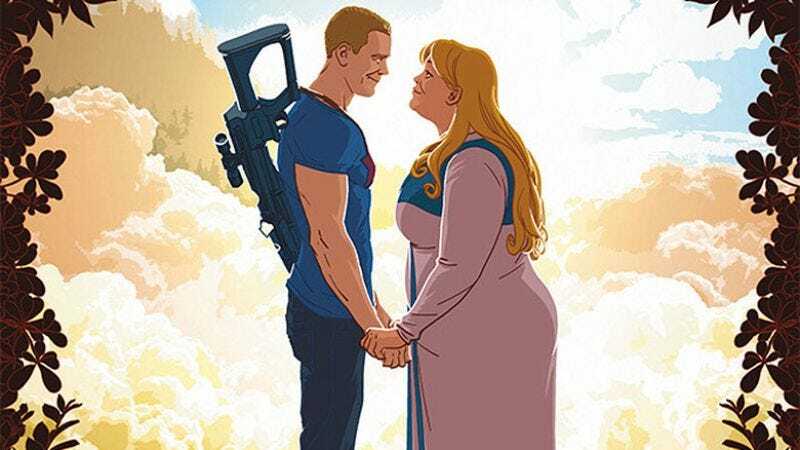 The collection of Jody Houser and Francis Portela’s Faith miniseries hits on July 6, and two weeks later, Faith is getting her own ongoing series and appearing in A&A: The Adventures Of Archer & Armstrong #5 for her first date with her new beau Obadiah Archer. Eisner Award-winning artist Mike Norton joins A&A writer Rafer Roberts for this standalone tale of young romance (regular A&A artist David Lafuente returns in August), and The A.V. Club recently spoke with the two creators to learn more about Faith and Archer’s love connection. An Eisner Award winner for his digital comic Battlepug, Norton has worked on a huge range of comics, sharpening his storytelling skills by working within different genre with different visual sensibility. That versatility comes in handy for A&A #5, which jumps from a grounded first date to a more fantastic superhero adventure over the course of the issue. Readers of the first two issues of Roberts’ A&A already know that fun is one of this book’s top priorities, and that’s not changing with issue #5. “I want to have fun,” says Norton. “I want it to show in the comic. A&A is that for me. I’m gonna try to come from a place of natural storytelling, but not be afraid to get a little silly. Hopefully, it’ll show and people will dig it!” Readers can join Faith and Archer on their first date when A&A: The Adventures Of Archer & Armstrong #5 hits stands on July 20, but until then, here are the issue’s covers offering snapshots of how the evening might turn out.